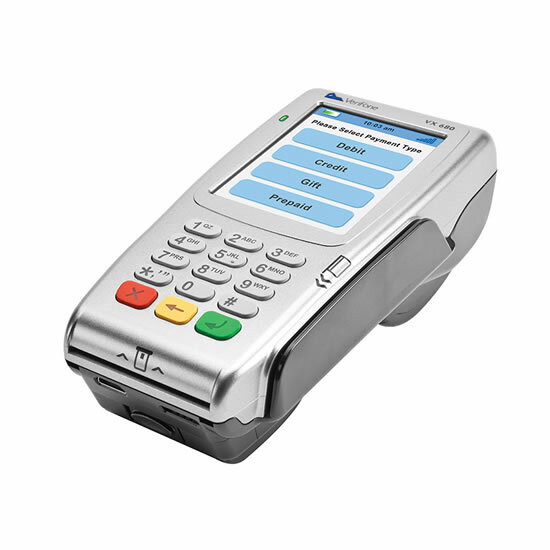 Verifone’s VX 680 3G is equipped with HSPA+ 3G, making it one of the fastest portable, handheld payment devices on the market today. The increased speed allows merchants to download apps and software upgrades quickly. If you choose to add GPS, you can track your fleet of devices in the field or place territory limitations, giving you peace of mind. The VX 680 3G is the way to go to maximize performance and power up your business potential. The VX 680 is a small, full-function, portable, handheld payment device with a large, color, touch screen. 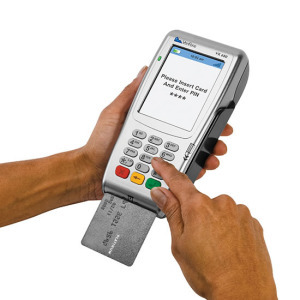 NFC-enabled for contactless card to mobile device payments. Durable and adaptable for different merchants and the most demanding retail environments. Merchants on the move – from delivery services and stadium vendors to restaurant pay-at-the-table service providers – can process on-the-spot transactions with minimal consumer waiting time. Have an older wireless terminal and need to upgrade? No problem. Volt Payments supports a host of wireless equipment and will reprogram it quickly for you.